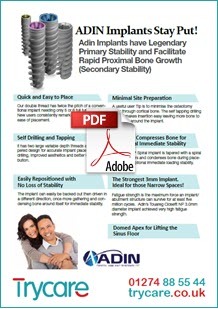 Adin Dental Implants - Predictable, Reliable & Solid! Adin dental implants are the next-generation of bone-level implants and one of the highest performing implants available in the world. 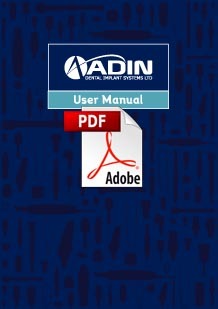 Adin has been established for two decades and is the world’s tenth largest manufacturer of dental implants. 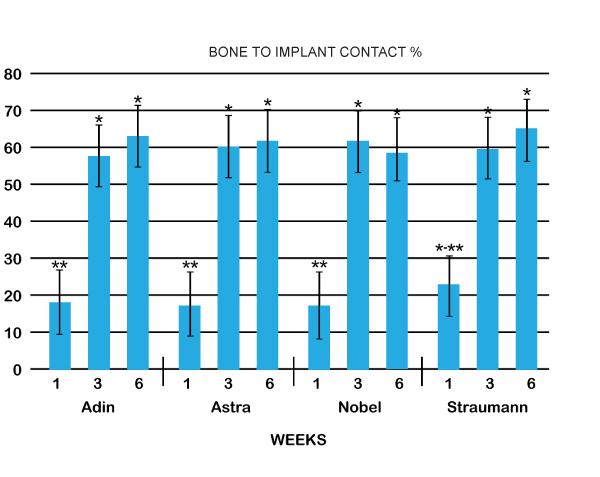 With over 30,000 implants placed each month, it is predicted that Adin will soon be in the top four. The implant's unique, double-lead thread and tip slices through bone compressing and condensing as it self-taps. This offers outstanding primary stability, allowing optimal restorative orientation and surfaces are treated for faster osseointegration. Adin is also a favourite with many of the FGDP implant course tutors at The Royal College of Surgeons as well as professionals worldwide. 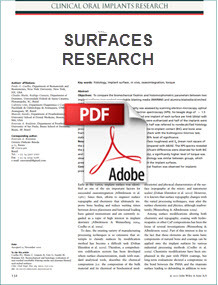 Click for the full range of Adin products. Ease of Placement & Repositioning! 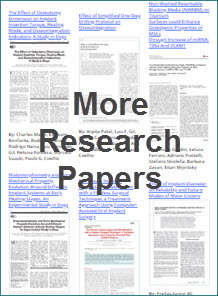 Sound Research & Historical Success! 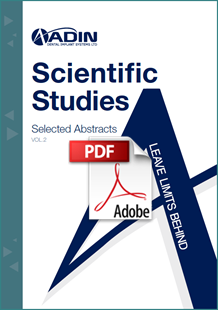 Results of a multinational, independent, comparative study was published by New York University and this research indicates that Adin Implants integrate as well as Nobel, Straumann and Astra. See the chart below. The implant can easily be backed out then driven in a different direction once more gathering and condensing bone around itself for immediate stability. 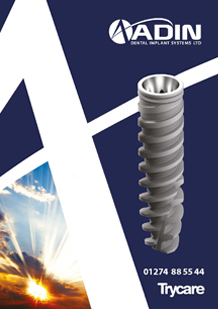 Our double thread has twice the pitch of a conventional implant needing only 5 or 6 full turns to insert. New users consistently remark on the speed and ease of placement. It has two large variable depth threads and a tapered design for accurate implant placement, self drilling, improved aesthetics and better load distribution. A useful user tip is to minimise the osteotomy once through cortical bone. The self tapping drilling feature makes insertion easy leaving more bone to compress around the implant. Where appropriate for immediate loaded implants, abutments can also be intraorally welded with titanium splints to give additional confidence of long-term success. Find out more about the benefits of intraoral welding and the product range.